Microsoft’s switch to a “mobile-first, cloud-first” world has unleashed a wealth of new Office365 productivity tools. Enterprise capabilities are now within the reach of every organisation, on a simple monthly subscription. But how do you manage Office365, and get support you can trust? As a member of the Microsoft’s exclusive 1-Tier Cloud Solution Provider programme we have the skills and service to get you into the Cloud and then to support you. And if you need more than Office365, we can also provide services like as Hosted Desktops and more. Let us be your partner for Office365, Azure and beyond. Office 365 is a public cloud service hosted by Microsoft. It combines the advantages of traditional Office applications with business e-mail, document sharing, instant messaging and video conferencing. 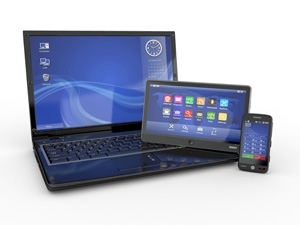 It provides access to the tools you need to conduct work from almost anywhere, on a wide a variety of devices, from computers to smartphones and tablets. Microsoft guarantees 99.9 % uptime access to Office 365 services under pain of money back, as well as manages servers for you. Anti-spam and malware protection is built in. Centralise your corporate data storage and access it from different locations. You can manage all your O365 services and Office applications from a single administrative centre which ensures smooth adding and deleting of user accounts as well as protection of mobile devices. Users themselves can quickly install Office applications on their computers by logging in to their Office 365 accounts. Office applications can be used within a few moments from clicking the “Install” button. 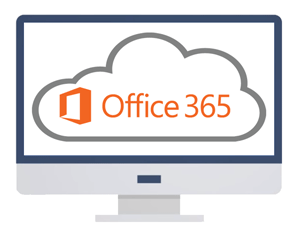 Office 365 service is available for subscription providing continuous access to the latest technology without a high starting cost. You get the latest version of well-known Office applications enabling offline work which smoothly works with services available online for an affordable monthly fee. Licenses are assigned to the user and each user can install Office 365 on up to 5 computers and on an unlimited number of mobile devices. If you have seasonal workers you can easily add and delete accounts when you need it. Although designed to be “self-service” the process for creating and configuring Office 365 for first use can be complicated and selecting the right plan is important. We can assist with the implementation process and provide ongoing support for customers who want access to more than the Microsoft call centres.